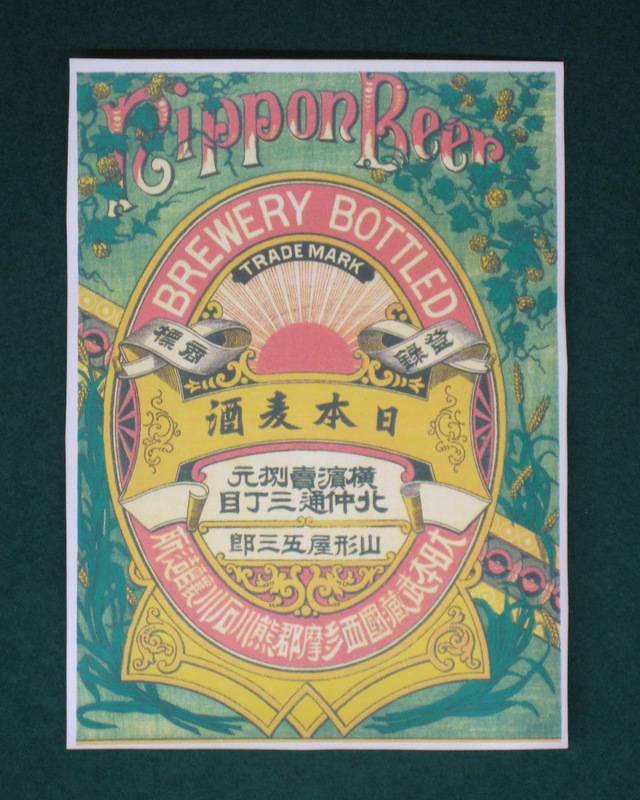 The company has been around for 120 years and now uses modern machinery to brew the sake, but in the old days, a team of workers were brought down from the north of Japan to work there. They were usually farmers who would work in the rice fields in the summer, harvest the rice and use it to make the sake in the winter. The sake is made by first polishing the rice to get rid of the protein and oils, and then washing it to get rid of any power and steaming and cooling it. The rice is then fermented with yeast. 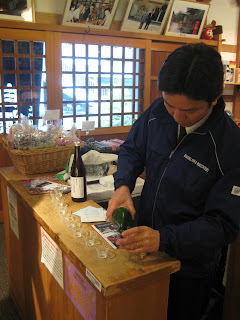 After a look around the brewery, we were taken to the tasting room and given a few samples of different sake. Needless to say, we came home with a few bottles. Before leaving, we ducked into the Japanese restaurant they have on site and downed a gorgeously hearty meal of fried tofu, soba noodles and tempura, all washed down with some of their sake. Scrumptious! 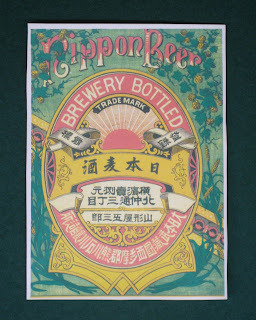 One of the early beer bottle labels used on their beer. 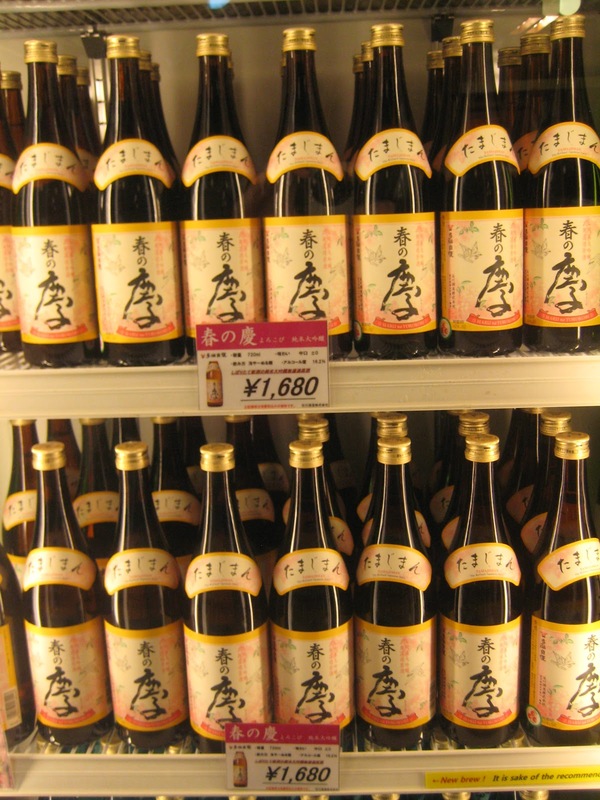 Sake consumption has decreased by 50% since other alcohols were brought to Japan, so the brewery had to diversify. They do a lovely wheat beer which I was rather partial to. 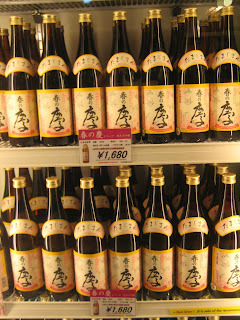 There was a good selection of sake to choose from in the shop. Our guide offered us a variety of sakes to sample. I was amazed at how different each one was. 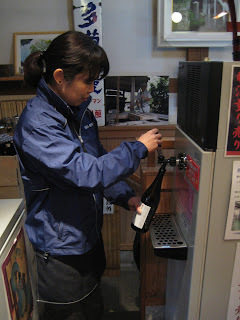 One of the sakes they have in house is decanted fresh from a vat and must be drunk soon after bottling - fine by me!